The legend of the ninja is that of a master warrior and assassin, who strikes without being seen and leaves no trace of his passing, save for a body. This Ninjato with Blow-Gun Sheath lends some credence as to how a ninja might have done just that. This is a pragmatic weapon at its core, possessed of a dual nature that allows a warrior to be dangerous up close or at a range. 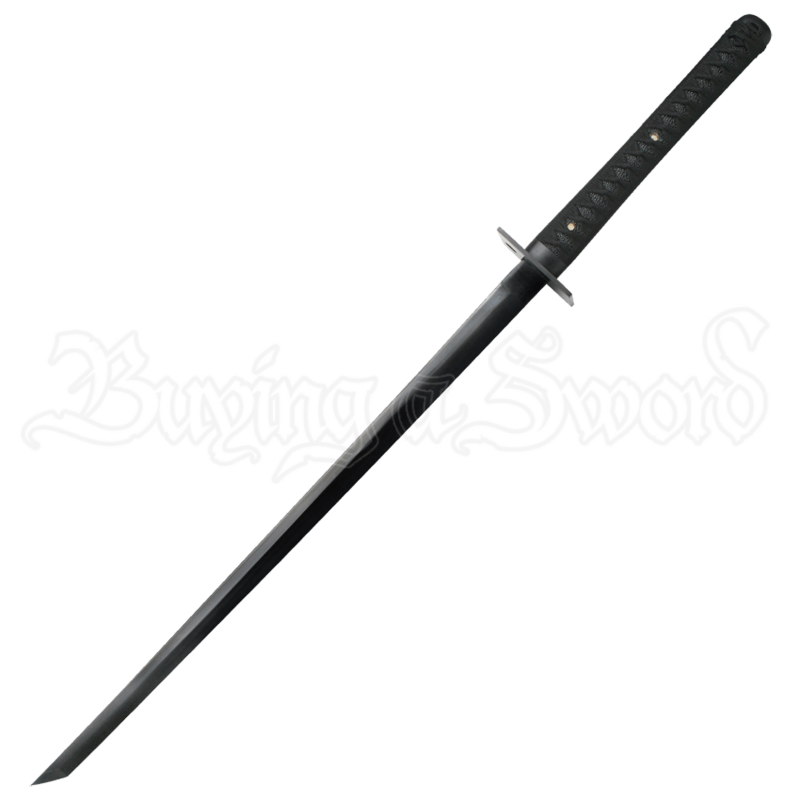 This sword is a classic Japanese chokuto (or straight sword), possessed of a straight-edged blade that is crafted from black stainless steel. The sword possesses an unadorned rectangular guard and a long handle that is wrapped in black cord. 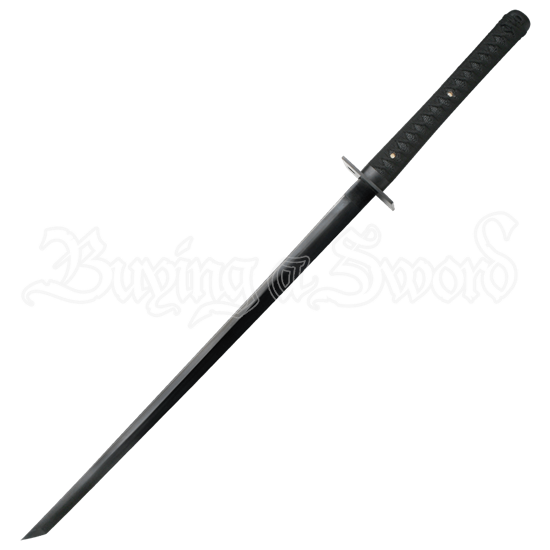 It comes complete with a scabbard, which hides a secondary weapon that makes this sword into an all-around threat from any range. Attached to the scabbard is a functional aluminum blow-gun, along with two racks that hold 12 needle-like blow-darts. (The blow gun can also be used as a breathing tube for ninja who have hidden themselves in the water.) Ninja did not always care about honor or valor, nor did they always have the luxury of time to engage their foes in combat. That makes this Ninjato with Blow-Gun Sheath a great shinobi weapon, as it gives then a close-range weapon to fall back on, and a long range weapon to use when stealth is at its utmost. Please be aware that due to the blow-gun feature, this item cannot be exchanged or returned.